July is the month of Guru and breathing in this special month I am sharing this story with you all. Let my gratitude and sincere thanks flow out of my body. Because except this, I have nothing to give MY GURU, MY MASTER. On 3rd July, 2012 on account of Guru Purnima, one of the purest day coming in a year, I was hence very excited. Early morning did my puja and thanked My Guru, His Holiness Sri Sri Ravi Shankar ji, renowned spiritual and humanitarian leader and my everything, for giving me the right direction in life. Thanked for stepping me up from, a person to a human-being, a no-one to a seeker. He showed the spiritual way and made me experience the beautiful journey from being somebody to nobody & nobody to everybody! My Guru says that you always smile, and give all your problems to me. Never feel alone in this world, I’m always there with you, such strong words by my Guru has made me strong from outside and hollow and empty from inside. In the evening, had a Guru puja and soulful satsang. A function for which the day was meant and I waited for. The very beginning realized from Virat bhaiya, an AOL faculty of Mumbai, that Guru Purnima is not a day for Guru, it’s a day for the Devotee. Guru continues to be Guru and live his day, but the devotee gets an excuse to enjoy more with guru, experience the intensified Guru Shakti and commingle with Guru energy. 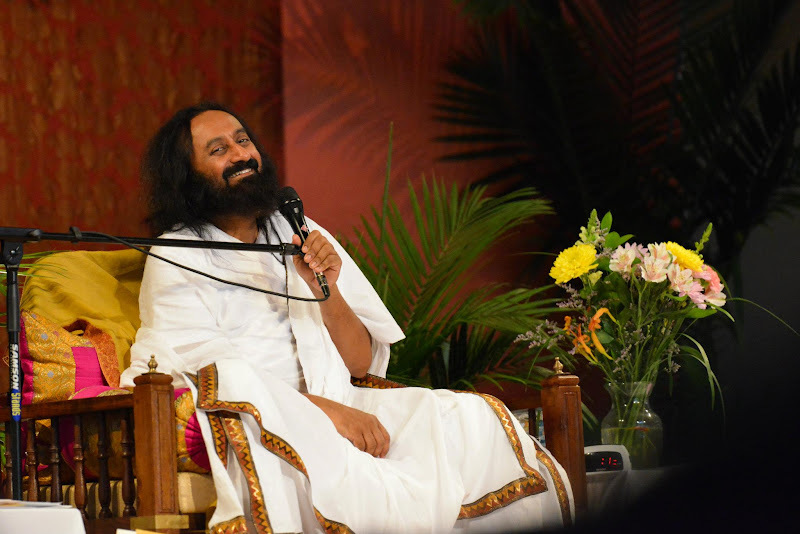 The satsang started and everyone’s heart was filled with satisfaction, which the Master has brought in our lives. The room was shining to its maximum with all the positive energy and the aura created by the seekers. It’s all Guru Grace and the divine energy envisioned. 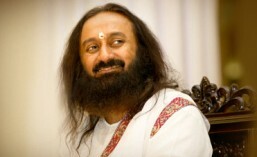 Followed by satsang , was the Knowledge Session, this comes directly from our dearest Guruji. He said, you come to know that there’s a Guru in your life from 5 things : Sorrow diminishes, With no reason happiness and joy all around, Knowledge is protected, There’s abundance in everything and lastly, Hidden talents come out. If one has experienced these 5 things, there’s surely a Guru, a Master in your life. With no doubts, there has always been my Guru walking in every step of my life. To prove this, my hidden talent of writing also came out. Well jokes apart, my experience with Guru when put into words will just be a trailer of a big movie. Guru is an un-imaginable magical energy, it’s a Tatva. The more you be with Guru, follow the guru Vachan, the tatva in you rises and it surely makes your things, your life in the organized way you want. The way you think, it just happens, that’s the power of Guru tatva, and we call it as Guru Grace. Guru’s life exhibits the Almighty’s Darshan. Kabir narrated brilliantly the value of Guru in one of his saying, “Guru Govind Do ghi khade, kakke lage payu, Ballihari Guru apne, jo Govind diyo bataye” . Guru has taken us to Lord and so even Krishna says, before touching my feet, touch your Guru’s feet. He showed you the way to get me. Concluding, would wish that everyone gets a Guru in their life, experience the same and continue being with him happily smiling and dancing.